Last Friday, Queen Elizabeth was forced to cancel a planned visit to Swansea, Wales, on Saturday to attend a military service to celebrate St. David's Day , after been taken ill with gastroenteritis symptoms, and was supposed to spend the weekend at Windsor recovering, instead she was admitted on Sunday afternoon to King Edward VII hospital as a precautionary measure. "As a precaution, all official engagements for this week will regrettably be either postponed or cancelled," the palace said in a statement. The Queen's two-day trip to Rome had been scheduled to start Wednesday. A spokeswoman said the trip may be "reinstated" at a later date. A source said that despite her illness the queen is in good health and good spirits, while a BBC correspondent reported she would be kept there for observation for about two days. The National Health Service says that the two most common causes of gastroenteritis in adults are food poisoning and the norovirus, a common winter vomiting bug which typically afflicts between 600,000 and 1 million Britons each year, and health guidelines advise that people with the norovirus avoid work for at least two days as it can be transmitted. The virus interferes with the body's absorption of water from the intestines, with symptoms including vomiting, diarrhea and dehydration and in the elderly recovery time is slightly longer, from three to five days and hospital stays are sometimes required in order to rehydrate intravenously. 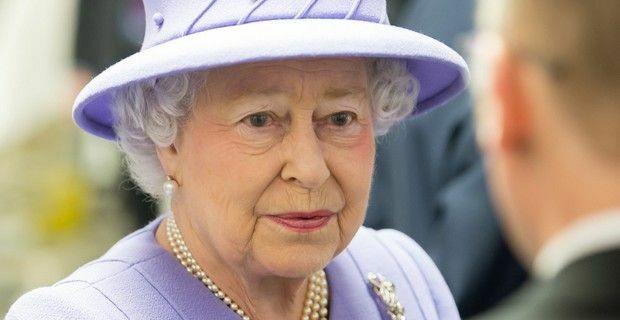 The last time that the Queen was hospitalized was in 2003, when she underwent knee surgery and has very rarely cancelled visits due to health problems, the last two times were in 2006 and in 2012 and they were due back pain. Queen Elizabeth celebrated her 60th anniversary on the throne in 2012 and will turn 87 in April.